The Croatian national football team will play for the first time in the United States next month. Croatia will play a friendly against Mexico on 27 May 2017 in Los Angeles at the Memorial Coliseum. The match, which will kick-off at 16:30 local time, will be the first match in North America for Croatia. 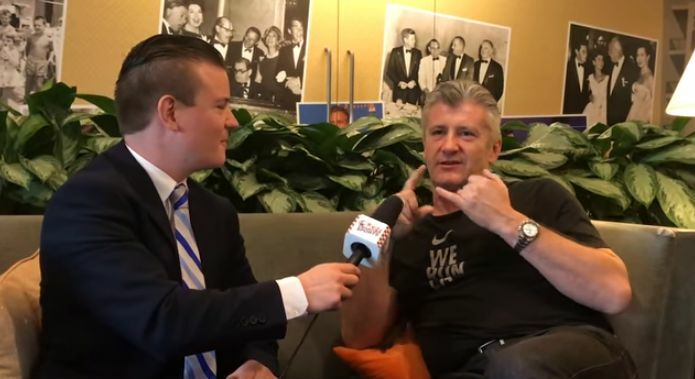 This week Croatian Football Federation President Davor Šuker and coach Ante Čačić arrived in Los Angeles to sort out logistics ahead of the match next month, and they sat down to talk to CroatianSports.com to talk about a number of things, including taking the Croatian national team around the diaspora, and which players fans can expect next month. Šuker says he would love to take the team to Canada, Australia and the Latin American countries where Croatians now live. He also explains the process behind how the Los Angeles match became a reality and more. Čačić says that Real Madrid stars Luka Modrić and Mateo Kovačić will be available should Real not qualify for the Champions League final. He added that fans can be sure that a strong side will turn up, with players from Germany, Russia, England all available.